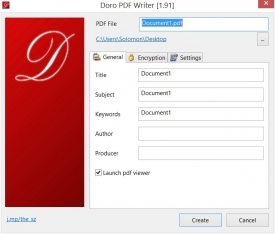 "Save any file as a pdf easily, just by printing with the Doro PDF Writer." Sending off a document in its original format isn’t always the best idea, nor is it the safest. Especially when the document contains sensitive information. Sending a document in its original format leaves the document vulnerable to tampering and/or unauthorized amendments. Even though simply changing a document’s format or file type won’t completely eliminate its vulnerability, it is a lot harder to prove that a change was not made by you if the necessary steps have not been taken to assure that the file is protected from minor tampering. The quickest and easiest fix for this issue is to convert the file to a pdf format; however that is a lot easier said than done. By default, Windows does not allow you to save any file format to pdf. You can do so if you’re editing a document in Microsoft Office 2013, but this is only because the functionality comes standard within the application suite itself. For those applications that do not come with the functionality, users are left to scour the internet for a solution. With simple search key phrases like “pdf converter” or “save as pdf” many users will find what they assume is the best or only solution to their issue: an application conveniently titled something along the lines of “PDF Converter.” This is usually an application that allows free users to convert a limited amount of files to PDF and sometimes it even limits how many PDF pages can be created in one document. Crazy right? The developers behind Doro PDF Printer think so too. Doro PDF Printer brings about a different way of converting files to PDF formats. 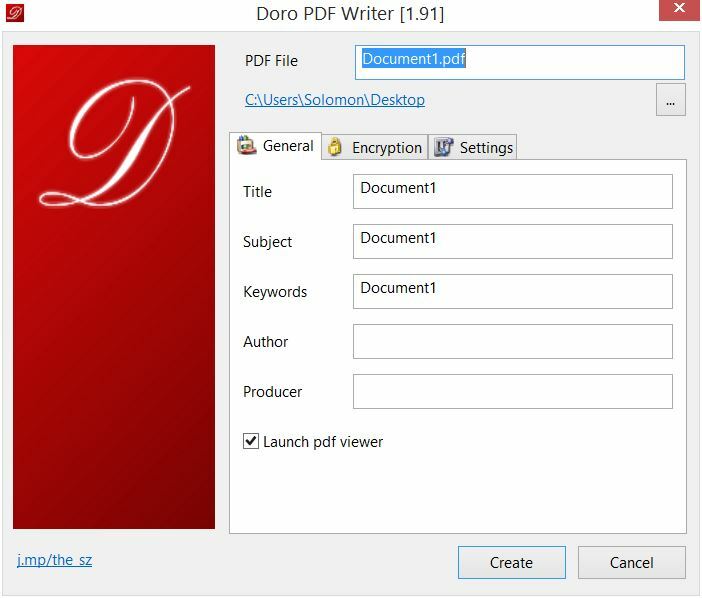 Instead of haven to navigate to and open a separate application that manages and controls how many PDF files you can create with a free version, Doro PDF Printer allows its users to simply navigate to the application via the printing options of any document or picture as long as the application has printing capabilities itself. There is no limit on the amount of PDF files that you can create and no limits on the amount of pages within one PDF file. Doro PDF Printer is treated like your standard printer; you simply select Doro PDF Printer from your drop down list of printers. After you make the selection, you will be presented with the main Doro PDF Printer application interface – similar to what you would get from other PDF applications, only this time you didn’t have to go searching for it. .such as the encryption options. You can add a password in order to further protect the document and encrypt it – only to be decrypted once the correct password is entered. Or you can save the pdf without any protection at all. I suggest that any information sent in a PDF should be encrypted if the file contains any sensitive information, from home address, usernames, passwords, government assigned identification number. If a document does not contain that any sensitive information, it is then okay to send the unencrypted version of the file.